We offer the newest in materials and techniques to create whiter and brighter teeth. These cutting ed ge techniques can whiten stained teeth caused by aging, coffee, tobacco, or trauma, and can even whiten hard to treat tetracycline stained teeth. We offer a range of different whitening options to fit your needs and budget ranging from take-home trays, to our in office laser and deep bleaching options, or a combination of both. The newest and most effective technique developed for whitening teeth is now available at our office. 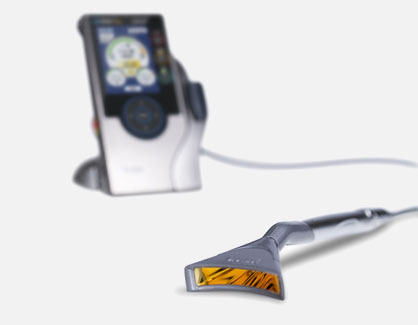 The EPIC Biolase laser dentistry system is an ideal teeth-whitening tool. A full-mouth, in-office whitening can be performed in only 20 minutes on some patients, but typically lasts one hour, making it faster than any other in-office whitening system. This system combines a no-heat laser with a specially formulated whitening gel that can get teeth up to 10 shades lighter in one hour without the sensitivity and time commitment of popular lamp-based methods. The DEEP BLEACHING™ Technique was developed by Dr. Rod Kurthy, combining and modifying several techniques, and is regarded as the one of the most effective teeth whitening techniques known today. Dr. Kurthy’s Evolve Dental Technologies, Inc. Deep Bleaching products have been specifically designed to be used with his DEEP BLEACHING TECHNIQUE, achieving the renowned Deep Bleaching results, but with much less of the common sensitivity and pain associated with other bleaching gels. The DEEP BLEACHING™ Technique gets teeth significantly whiter than ever before possible. Patients who previously were unable to bleach as white as they would have liked (because of ‘bleaching resistant teeth’ or acute sensitivity) can now bleach significantly whiter. Take home trays are formed perfectly to fit your teeth and will seal in the whitening agent and whiten your teeth effectively. 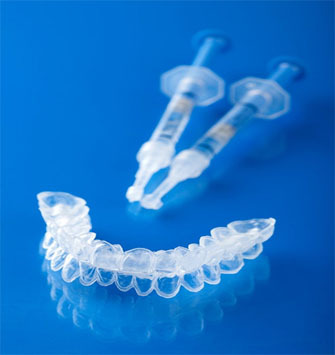 We offer tubes of whitening gel in various strengths depending on your particular needs. Wonderful staff and office. Had an amazing teeth cleaning experience and I will be going back. Can’t say enough how great their office is. Very impressed with the professionalism of this dental office. Not only is the office gorgeous, but the staff is all extremely friendly. Whereas a prior dentist informed me I had two cavities that needed filling, Dr. Lamberton performed his very thorough exam and did not find any problems. I’m always concerned that dentists are not honest and recommend dental work that is truly not needed. I felt very comfortable that I was getting the truth from Dr. Lamberton. I will be a patient for life!